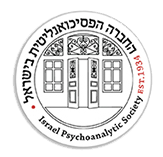 Welcome The Israel Psychoanalytic Society : The Israel Psychoanalytic Society was established under the name of Chevra Psychoanalytit Be’Israel in the September of 1933 by Max Eitingon who was a student and follower of Sigmund Freud. In 1934 the society was officially established and recognized as a component society of the IPA. The goals of the Society are the cultivation, development and dissemination of psychoanalysis both as a theory and a method of treatment. The Society also deals with the application of psychoanalysis in related fields. In addition, the Society is concerned with the protection of the rights of its members. The Society is located at 13 Disraeli Street, Talbieh, Jerusalem.